Festival of Kinetic Art of Light Light. Move. Festival. is aimed at offering the city dwellers, tourists and authorities a chance to discover value of public space by the means of light. The Festival takes aim at revision of city perception and alteration of urban image. Festival of Kinetic Art of Light Light. Move. Festival. depicts sound, music, colour, urban identity and state-of-the-art green technology solutions. Łódź is an important city in Poland and also in Europe. In the recent years, an identity of Lodz as a city of culture has been created. The city of unique historical and cultural inheritance, constantly changing and developing offers a variety of image. Former avant-garde and artistic experiment centre becomes a modern art centre. Museums look after the heritage of pre-war artists and young works of art change postindustrial interiors into avant-garde art centers. Growing every year calendar of Lodz festivals, became a cultural “brand” of our city - “ Festival Lodz”. Light. Move. Festival. is an excellent tool to promote the city, history of architecture and its heritage. City of Łódź since first edition of LMF support “Lux Pro Monumentis” foundation in organize festival actions. Philips is more than just a company name – it’s a brand that promises an experience to people. Whether it was lighting lives in 1891 when we introduced our first incandescent light bulb, to saving lives with the HeartStart defibrillator, people have always been at the heart of Philips. At Philips, our mission is to improve people’s lives through meaningful innovation. Angora is a weekly press review which publication began in 1990. Over the years the weekly became a leader in paid circulation of socio-political press. Each issue encloses editorials such as columns, comments, interviews and an extra section for kids, Angorka. Since the first edition of the festival Angora acts consistently as cultural patron of Lodz, offering the Foundation knowledge, experience and positive energy! 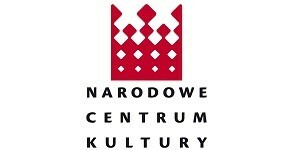 National Center for Culture - state institution of culture which statutory tasks assume development of culture in Poland. Cultural education and increasing of interest in culture and art. Development and orientation of cultural sector. Promotion of Polish national heritage as an element of European cultural heritage. Support and propagation of national and state tradition. National Center for Culture is a project partner during the 3rd edition of LMF. Fund for Environmental Protection and Water Management in Lodz - an independent financial institution aimed at creation and realization of ecologic policy of the country through co-financing activities related to environmental protection and water management. The Fund offers financial support to ecological investments and projects, realized by local governments, national budget, non-governmental organizations and economic subjects. The 3rd edition of the Festival is funded directly from financial resources of the Fund for Environmental Protection and Water Management in Łódź within the scope of artistic activities: high-tech 3D mappings, large format projections and organization of scientific conference held during this edition of the Festival of Kinetic Art of Light. The amount of donation reached 110 000 pln. The total cost of the tasks within the scope of the Fund donation is valued at 170 000 pln. We are happy because of the fact that ecological aspects of the Festival were spoted and appreciated by the Fund for Environmental Protection and Water Management in Lodz. Thanks to our cooperation that started this year, the promotion of new ecological and energy-saving technologies of lightning used in public space was brought into the new level and for larger audience. Łódź Province thanks to its exquisite location in the center of Poland and Europe, on the intersection of the most significant transport routes, became one of the most prosperous investment areas. Well educated personnel, recognised academic centers, research and development industry and wealth of nature comprise competitive supremacy of the region. Licensed Security Agency of Property and Persons „TWIERDZA” (eng. Citadel) was born in 2004. We operate under a license granted by the Minister of Interior and Administration major in Poland. We are at the forefront of companies providing security services in terms of quality of services and the dynamics of development. The main objective of the company is a professional service demanding customers. “Twierdza” is an official security agency of Light. Move. Festival. 2013. Magazine „RENOVATION AND MONUMENTS” is dedicated to a wide audience, in particular to architects, urban planners, engineers, designers and restaurateurs. Each edition of this magazine escribes particular European cities. 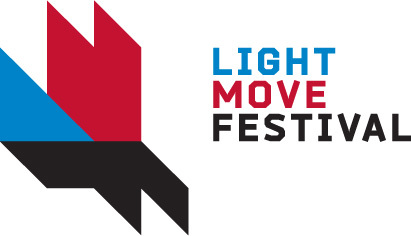 Since 2011 a quarterly „RENOVATION AND MONUMENTS” is a media partner of Light. Move. Festival. and takes care of its promotion before every edition. After the event „RENOVATION AND MONUMENTS” publishes extensive reports on it. Positive relations with this magazine help to popularize LMF as an event that is promoting cultural heritage and unique identity of the city of Łódź, especially among architecture enthusiasts’ and experts’ society. 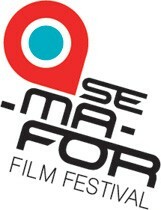 Nowadays it is 5 days of screenings, meetings, workshops and international discussion about crucial issues for film production and coproduction. All of this happens in the City of Lodz, home of Polish film and animation industry. 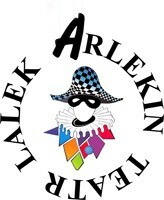 The Arlekin Puppet Theater was established by Maria and Henryk Ryl in December 1948. It has two stages: a large stage with 200 seats, and a small stage with 60 seats. The building hosts offices of Polish divisions of international puppetry organizations UNIMA and IFCPA. Since 2008 the organizational structure of "Arlekin" has also encompassed the Folk Dance Group "HARNAM". Besides the International Festival of Solo Puppeteers, which is organized every second year, since 2006 "Arlekin" has organized, yearly the International Festival of Street Art "TrotuArt". Bielecki Art Foundation was established to support young artists, creative and passionate but not evading hard work. We do hope in this way the Foundation will contribute to the development of culture and arts, creating, at the same time, the world around us. The Foundation’s aim is to initiate and support activities for young and talented artists and research workers, in their desires for fulfilment through artistic endeavours and to help in making creative dreams to come true. The Foundation intends to give a chance to those people who, often for financial reasons, are unable to reveal their talents to the world. As a relatively young institution, ACAI creates its history and tradition by developing new and original forms of active participation in cultural activity. 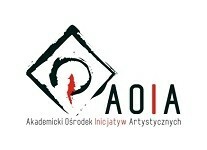 Since 2005, young artists can find shelter and help in ACAI in many creative projects. We believe in investing in young people, because without them and without their dedication to their projects and also their tenderness, and without the factors that help with the progress of feeling the presence in contemporary culture, our actions would not make sense. We promote innovations, creativity, cleverness and also enthusiasm which always accompanies youth initiatives. We also regularly work with the biggest centers of academic life in Lodz: University of Lodz, Academy of Arts, National Film, Theatre and Television School, School of Art and Design and also many private schools and NGO organizations and also other actors in the sphere of art and culture. Our conference centre comprises 8 state of the art meeting rooms with the latest equipment. Perfect for executive board meetings, conferences and gala celebrations, host your event in style with us. The Hotel supports the Festival by offering kindness and desire to help. Syzan Syzan company has been supporting us with its positive energy and professional service. This year the company helped us by delivering the amazing illumination during our light press conference. During the Festival it takes care of our sound service, laser shows and installations organised by the Foundation. 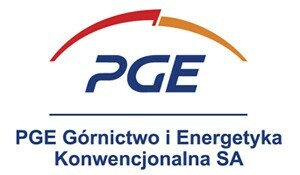 Polska Grupa Energetyczna - power company with over 20 years of history. The largest contractor in electrical power engineering sector in Poland supporting over 5 millions of customers. Companies included in PGE Group cover various segments, such as renewable electricity, telecommunication. Pelion Healthcare Group, formerly Polska Grupa Farmaceutyczna S.A., has been present on the market for twenty-two years now.Today, the Pelion Healthcare Group is one of the largest groups operating on the healthcare markets in Poland, Lithuania, and the United Kingdom. Its services cover all market segments (wholesale, retail sale and sale to hospitals) and are targeted at individual patients, pharmacies, hospitals and manufacturers. Virako realize and manage commerce property. We are the only developer in Łódź which invests in the construction of the office surface . We have been on the market since 2002. We specialize not only in construction of modern office complexes, but also in renovation of the post-industrial buildings. The atmosphere of industrial Łódź created by us was appreciated by many Polish and international companies. Drukarnia Prasowa S.A. in Łódź is a company with a couple of decades of tradition. It was the first entity to specialise in the offset-rolling printing techniques on the Polish market. Hence its activity is based on the intersection of experience and modernity. The company is continuously concerned with the challenge of meeting the most sophisticated needs of various customers through the highest standard of provided services, professional consulting, competitveness of the offers and introducing the innovative technology solutions. Dalkia Łódź is one of the largest heating companies in Poland and the leader of the local heat market. It generates the systematic heat and electric power through the process of cogeneration what is an optimal scenario of efficient fuel usage. Dalkia delivers systematic heat to the houses of Łódź inhabitants using its own heat network. The company is also well-known for investing in the renewable energy resources and promoting the rational energy consumption. Dalkia is a partner of a number of initiatives aiming at the development of local communities, city of Łódź and the entire surrounding region. A creative interactive agency that concentrates on web design and visual identification. The Web Designers from Promopixel Agency are continuously inspired by the latest trends. Their main goal is creation of uncommon computer graphics. Promopixel is the official creator of the www.lightmovefestival.com and www.lightmovefestival.pl websites and the patron of luminous installation "Negatyw Obecności" made by Katarzyna Malejka. Long-term tradition, a high quality and sophisticated taste of OLIMPIA have accompanied Polish people since 1950. Lodz company with over 60 years of experience in knitting branch has been going with the spirit of the times and although our far-eastern neighbours defeated many polish clothes company, OLIMPIA has lived, strengthened its position and in 21st century it entered energeticly, equaling most of the huge company. Many times OLIMPIA was awarded in prestige competitions and nowadays it meets the most discriminating customers halfway, from one season to another widening goods offer, adapted to prevalent the canons of fashion. The factory of tights ADRIAN was established in 1984. Currently we are the second largest hosiery factory in Poland. Owing to our hard work and intensive investments in the modern machinery we achieved the high rank on the market and we can meet the highest quality standards. Our monthly production amounts to almost 1 million pairs of tights and socks, which appear in all the latest fashionable patterns and colors. Our products can be bought all over Poland and in numerous countries abroad. Since 2006 our company is an active member of Business Center Club – the countrywide association of Polish businessmen. „LED Produkt” company produces unconventional led-products. Every project is developed by specialists: electronic engineers, optics engineers, programming, industrial chemistry and others. Products are manufactured in Poland. They are characterised by high quality, strength and endurance. During the 3rd edition of Light. Move. Festival. “LED Produkt” is a project patron in Staromiejski Park. Help us light up the city of Lodz!